"Seeking knowledge is seeking Allah, and as the knowledge grows, Emaan grows." We struggled also before as students but with Allah's help, we insisted to continue. Today we transfer to you what we learned. If you have a good intention of seeking knowledge to please Allah and have a strong will, then I could help you. If you are searching about a qualified teacher in Tajweed, want a Skiekh to give you an Ijazah with high Sanad, want to master Arabic grammar and speak it fluently, want to read Arabic literature and poetry and to be fully comprehended it, or want to taste the sweetness of Arabic language, feel free to message me. I am Hend Salem, an Egyptian Quran, Arabic and Islamic studies tutor and new here at Qutor. I have graduated from Al Azhar University ,English department, the oldest and greatest Islamic University, where I studied Quran, Arabic, and Islamic science. I memorized the whole Qur'an when I was 12 years old, had three Ijazahs in Hafs and Warsh recitations with high Sanad connected to the Prophet- Peace and blessing be upon him. I could also teach Qiraat of ( Qaloon, Al Bazee, Qunbul, Abu Jafer). I had Ijazah in teaching Al Qadah Al Noorania ( Noorani Qa'edah), children's poem in Tajweed, Aljazareya (Tajweed poem) and Ajrromiya ( A classical grammar book). I am still working in other recitations as studying Qur'an is my passion. I have been working with different institutions and have been teaching Qur'an and Arabic for many years, for Arabs and English speakers, (beginner to advanced) levels in an interesting manner. I used to teach kids from four years old and females. I am studying now Islamic studies in English at KIU. About Arabic, I studied it at Al-Azhar school in depth as Al Azahar called the house of Arabic, then I studied it again at college as a translator from Arabic into English and vice versa. I took courses in Ajorromia and training Arabic teachers as a second language. I have been teaching most of the Arabic books that institutions are using. I am doing a mixture of those curriculum trying to develop students' skills of listening, speaking, reading, and writing to fully comprehend and master the language. I adore Arabic and its study is my passion. The deeper I study Arabic the more fascinating it becomes. SubhanAllah now I understand why Allah chose Arabic as the language of the Quran. Maybe sometimes I feel stressed with work and studies, but I only find peace in studying Islamic sciences and teaching Quran, to please Allah, to increase my knowledge about Islam, and to help my students more especially kids who always ask. إِنَّمَا يَخْشَى اللَّهَ مِنْ عِبَادِهِ الْعُلَمَاءُ))) Indeed only those of God’s servants who have knowledge fear Him. excellent. just love the fact she corrects the letters very precisely. look forward to having lessons with her, May Allah bless her, ameen. She is an experienced and a very good teacher.She explains clearly.May Allah give her success in both the worlds. The best Masha Allah thank you for having so much patience with my daughter! MashaAllah! Excellent Teacher.. Patient, Very clear in her explanation and very knowledgeable. Love her session.. May Allah SWT reward her greatly for her noble work.. Ameen..
Great teacher unfortunately I was unable to maintain the lesson timings due to other commitments. However, masha Allah tabarak Allah I cannot fault her great teaching skills. Masha Allah sister Hend is a very competent and patient teacher. Her teaching style is very clear and she explains the rules carefully. I have learnt a lot already in a short space of time and I enjoy my lessons with her. May Allah bless her and give her high status in jannah. I am very happy with my lessons so far. Teacher Hend is very helpful and patient and she is strict too, which is great because you know she is striving for excellence ma sha Allah. Sometimes teachers are afraid to correct students, but she will make sure you know the errors so you can fix them and this is really important in a teacher. May Allah bless her and all her students. Ameen. 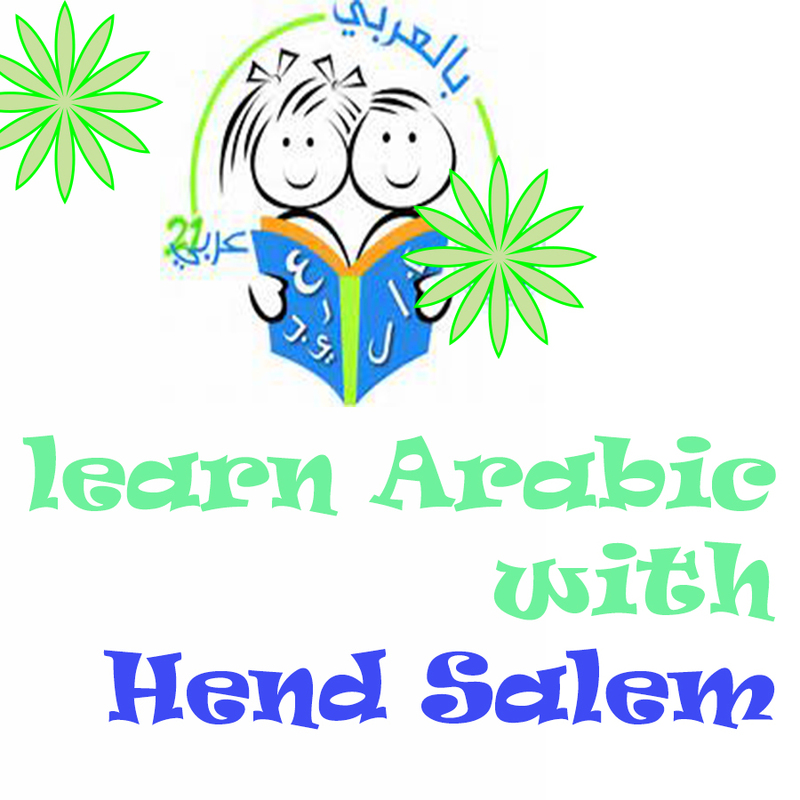 Hend Salem is a wonderful teacher. She is patient and very flexible with timing. Would highly recommend her. Very patient and kind! I would recommend her. Excellent communication, very knowledgeable May Allah bless her. She will help you understand concepts, shes very patient. Would recommend her to anyone who wants to learn Arabic and Quran.